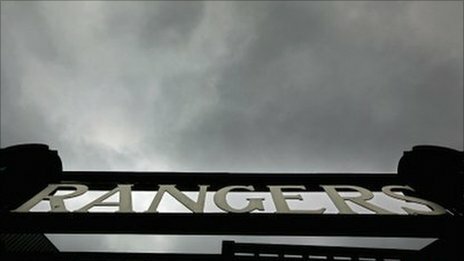 The Big Tax Case cast an ominous shadow over Rangers just as a dark cloud does before a storm. David Murray’s decision to operate an Employee Benefit Trust scheme may have been beneficial at the time, minimising the Club’s tax bill through the clever utilisation of discretionary loans, but there is no doubt that it was very damaging due to the uncertainty and panic it eventually created. HM Revenue & Customs did of course believe that these payments were taxable and so issued Rangers FC with a liability in excess of £40M, much to the distress of the owner, the supporters and even the bankers. The whole case carried on for far too long and it is a relief to at last have some sort of decision made. Yesterday’s victory was very much a bittersweet moment for many of us. We have been subject to a ridiculous trial by media and the outcome of the FTT was undoubtedly pre-judged and pre-determined by many journalists, bloggers and fans of other clubs. There was a real willingness and eagerness to find Rangers guilty of illegally paying its staff and there was an outcry at our disgraceful tax-dodging antics which deprived our country of hospitals and our soldiers of equipment. Nevermind jelly and ice-cream, humble pie is on the menu today. There should however be a realisation that so many painful events of the past few months and even years could have been avoided. Lloyds Banking Group twitched nervously at the thought of Rangers having to pay such a tax liability and sought to recoup their money at the earliest possible opportunity. This was achieved when David Murray shamelessly sold the club to Craig Whyte and, well, the rest is history. If only Murray had accepted responsibility for the mess and stood by Rangers then we would most probably still be in the SPL and quite possibly still be playing in Europe. But alas, the past is the past. We must now look forward. The Big Tax Case victory does not impact immediately onto Rangers under the operation of Charles Green and his investors but instead is a matter for the previous company and the liquidators to deal with. That is not to say that it is completely irrelevant though and in fact, it should set the Club up for yet another victory in the days and weeks ahead. I am of course referring to the SPL investigation. 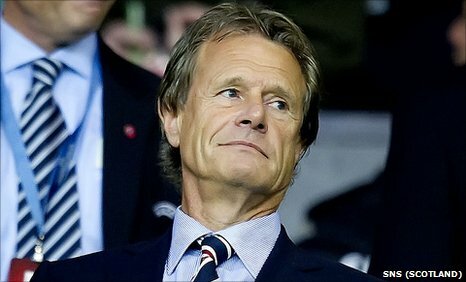 Many Rangers’ supporters, including myself, have maintained that the investigation made by or on behalf of the Scottish Premier League has been nothing other than a Kangaroo Court. This has again been heard and decided upon in the tabloids and on the internet and the only fitting sanction (guilt is already assumed) is the stripping of titles won unfairly through the participation of ineligible players and financial doping perpetrated by the Club. You will note the words highlighted in bold and I have done so for good reason. The SPL and its case against Rangers hinges on the EBT payments made to players being for their footballing activities. If that is the case then these payments were required to be disclosed alongside signed acknowledgements from the players in question. Now, are the SPL going to claim that these loans were in fact salaries and go against the judgement of the FTT? I certainly don’t think that that would be an advisable route to go down, do you? The argument above is one which I have previously scribbled about here at CRO and I was baffled by the SPL and its Independent Commission continuing its investigation despite the FTT verdict previously being outstanding. As you can clearly see, the treatment of these payments is absolutely vital to the claims against Rangers and so there must surely now be good cause to drop the investigation and finally allow our Club to move forward. “What this decision does is it totally removes any obligation that the club would have had to submit these contracts to the SFA or the SPL because they would not have been considered for participation in football. Unless there are some very strong vested interests who are harbouring a different agenda, at this point – that goes away. His argument is logical, sensible and cannot be reasonably countered given the treatment of the payments in question. Put simply – the SPL must drop their investigation immediately or they could be running the risk of a day in court, something which they are unlikely to favour. It is now clear that Rangers won their titles and trophies fairly and honourably and that any claims of cheating or financial doping are quite simply unfounded. This whole affair has demonstrated that people will choose to believe whatever suits their agenda but in this case the facts simply cannot be ignored. Charles Green was forced to apologise for the sins of Messrs Murray and Whyte and even that wasn’t enough for some people. Perhaps it is time that some apologies were sent our way after the latest revelations although I certainly won’t be holding my breath. Turnbull Hutton has previously called our game “corrupt” and any further action taken against Rangers by the SPL would only succeed in fully justifying his claim.